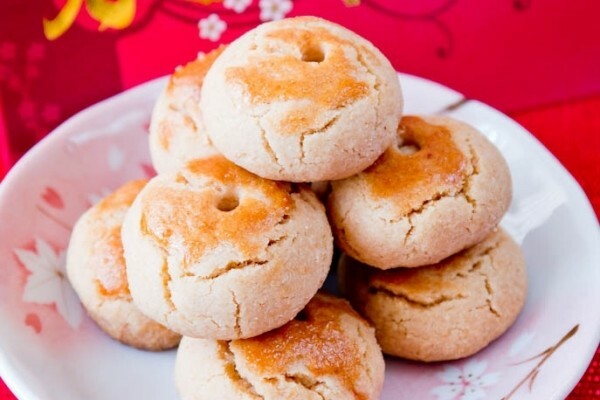 The Chinese Almond Cookie is native to southern and southeast China. There is no record of these cookies before the 1900’s. The Chinese commonly prepared Almond milk and Almond tea. An American variation exists using pecans. I ALWAYS USE TO ORDER THESE IN A CHINESE RESTAURANT, WHEN I LIVED UP NORTH. I EVEN HAVE A RECIPE TO MAKE THEM AT HOME, BUT HAVEN’T DONE SO IN AWHILE.